I am the Parent or Guardian listed above and I certify that the above named child is physically fit to participate in strenuous physical activity. 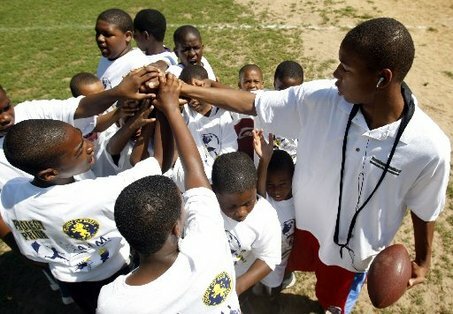 I hereby waive the Keith Rucker Football Camp, the Reach 4 The Sky Foundation, camp sponsors and all facilities utilized from any and all responsibility for injury and illness. I hereby authorize the camp directors to act for me in accordance with their best judgement in an emergency requiring medical attention. I understand that I am solely responsible for the payment of any and all medical expenses as a result of an injury or illness during camp. I also give consent to the camp and any camp photographer taking photographs or using photographs of my child for promotional/marketing purposes. I have read the above and acknowledge it.